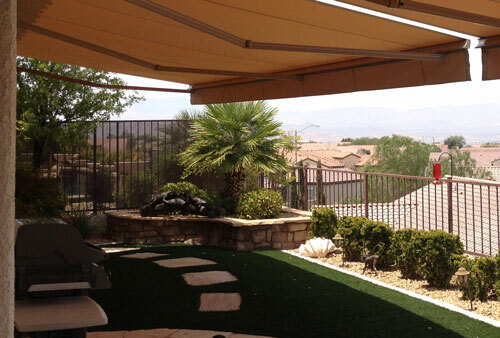 A Sunesta shade canopy can allow you to enjoy your outdoor space much longer here in Southern Arizona. Adding more shade to an area of your home that is normally exposed to the sun, uses less energy to cool that area of your home. The sun’s UV rays can severely damage and fade furniture, carpet, upholstery, drapes and flooring. 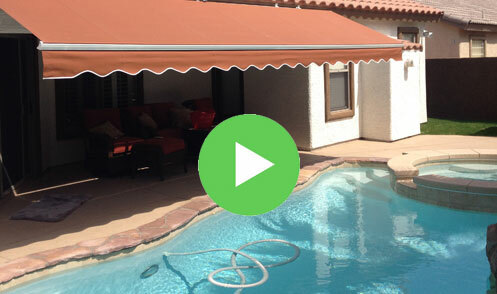 Sunesta designs and builds their awnings to withstand hurricane winds. Miami Dade County Florida approved to withstand some of the harshest elements. Custom Made Shade for Perfect Days! Built for slightly smaller areas, We have you covered. This example illustrates our Led Lighting Option too. 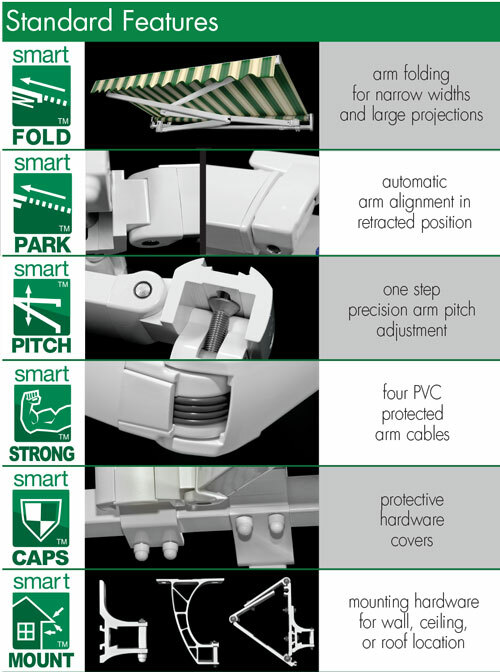 Below are some amazing features of the Sunesta Awning Custom Installs. 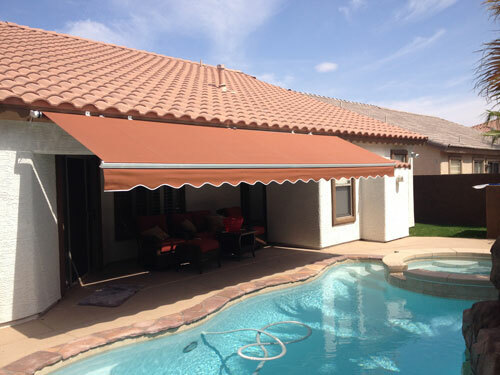 Embrace outdoor living year round with a retractable awning built for the harshest Monsoon conditions. 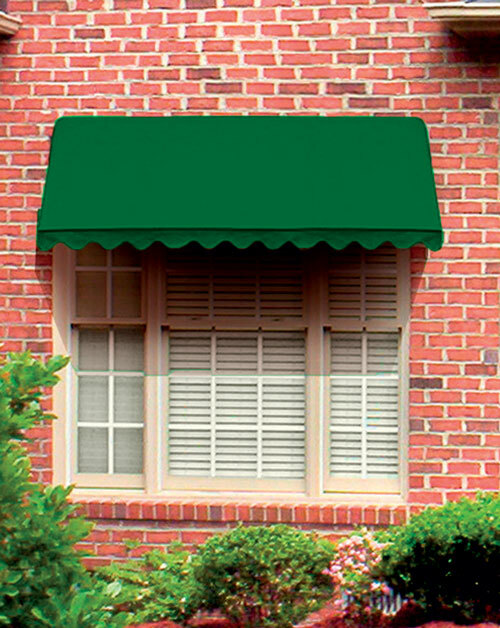 Sun or shade – it’s your choice with the Sundrop awning. 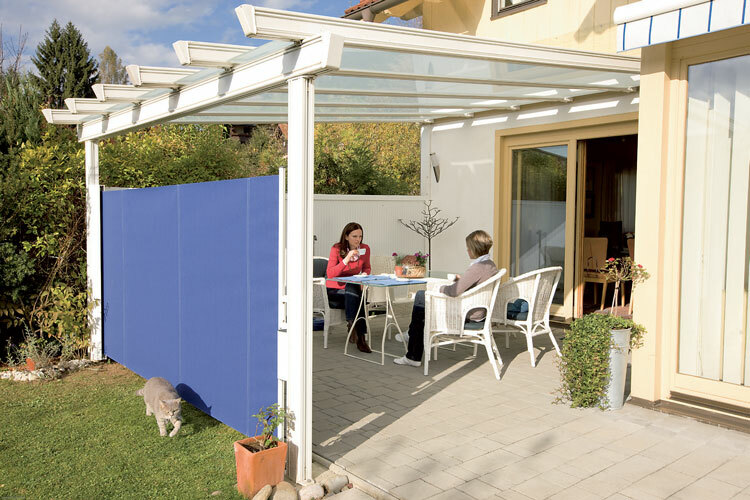 With the widest variety of styles, colors and options to choose from, the Sundrop offers a functional and versatile approach to sun protection for your home. Your home is one-of-a-kind. 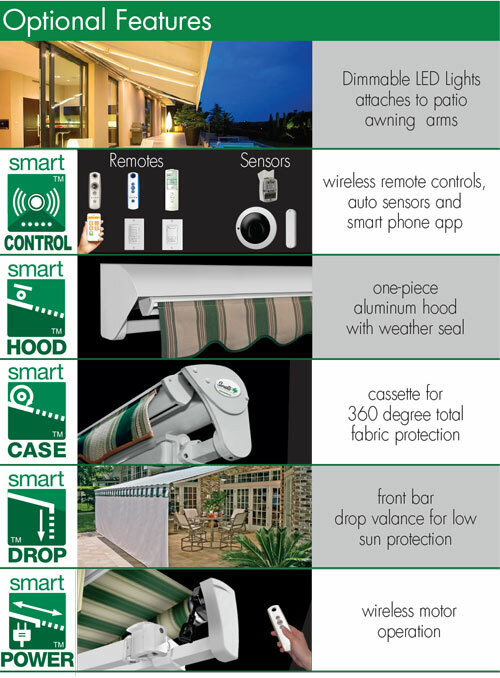 That’s why Sunesta® offers total customization, so that each Sunbrero™ Retractable Awning is made to fit your home’s style. The Sunbrero™ is available in many shapes and sizes. And since we offer a wide variety of customized options within each style, you’re sure to find the perfect fit and look for your home or business. Add impressive ambient lighting to your outdoor living space.